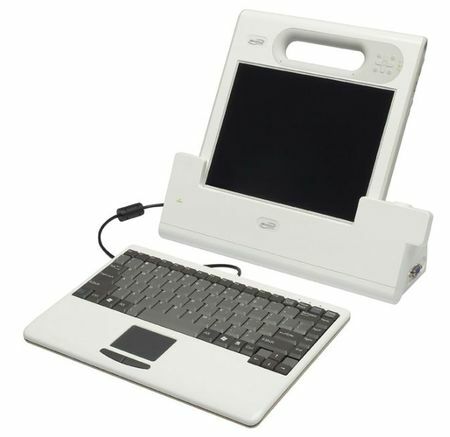 Motion C5, the mobile clinical information management device by Intel and Motion Computing, initially reported by medGadget in September 2006, is no longer a rumor, or a prototype. 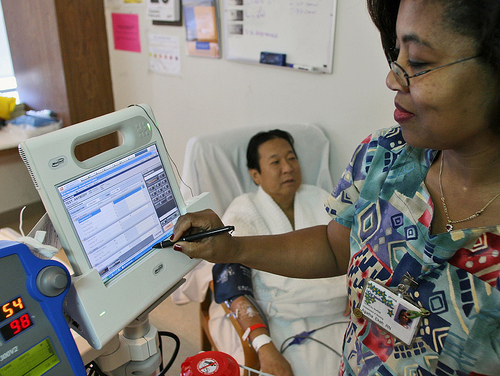 Intel says that it is starting to ship the device to hospitals around the world, to "enable nurses to spend more time with patients, do their jobs on the move while remaining connected, and manage the administration of medications." Intel collaborated with Motion Computing - a long-time provider of mobility products in healthcare - to develop the first generation MCA product. 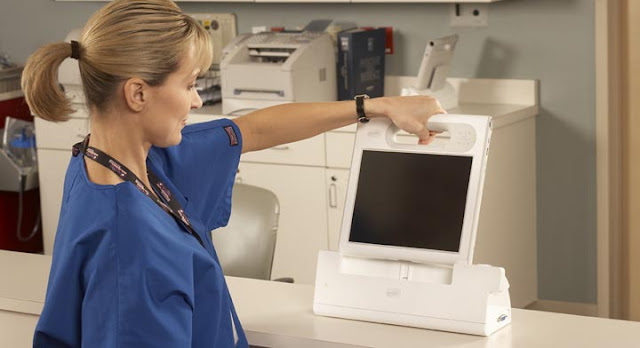 Healthcare professionals now have access to a portable system that can record, retrieve, identify, verify, and document-all at the point of care. 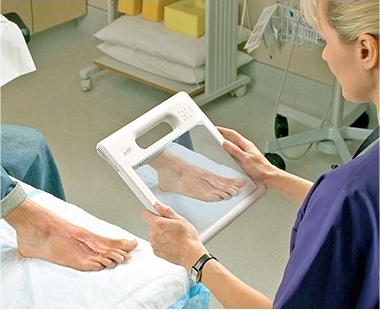 The Motion C5 is the first product in the new mobile clinical assistant (MCA) category of PCs. 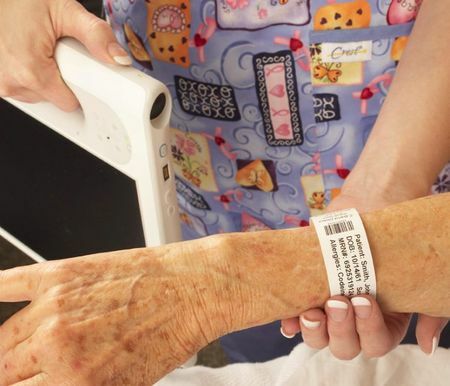 Designed based on input from thousands of clinicians, the C5 brings reliable, automated patient data management directly to the point of care. A convergence of technologies allows to do everything one normally does during one's shift such as perform clinical documentation, administer medication and take pictures using a single device. With Intel® Centrino® mobile technology and integrated high-speed wireless connectivity, the Motion C5 integrates key functions that clinicians require to be productive during the course of the day. Weighing approximately 3 lbs., the C5 is made for mobile use. Its LCD screen is finished with a splash-proof seal, and the entire unit is easily wiped clean to enable disinfection. To ensure that only authorized users access sensitive patient data, use the biometric fingerprint reader or authenticate your badge with the RFID reader. Trusted Platform Module helps protect against inappropriate data transfers.